Take action for meaningful change on MLK Lobby Day, 1/19/15! Greta Carlson is a Communications Intern with Solid Ground. 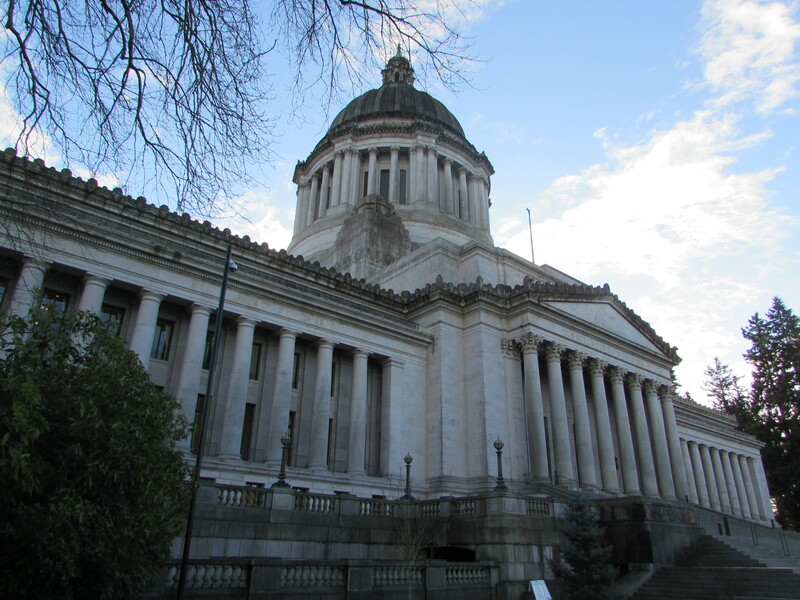 People of all ages and backgrounds can have a voice in Olympia on MLK Lobby Day! Traveling to Olympia with the Statewide Poverty Action Network on Monday, 1/19/15 for their annual Martin Luther King Lobby Day is sure to be a powerful and enriching experience. We encourage as many people to attend as possible to help advocate for legislation that will make a positive impact on low-income families in Washington state. MLK Lobby Day facilitates people in meeting with their lawmakers to share their stories, which promotes the protection of resources necessary for thousands of people to meet basic daily needs. 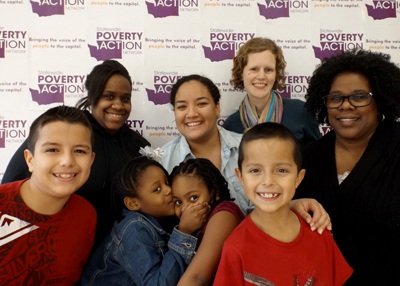 Visit Poverty Action’s website today to fill out our short registration form. We’ll send you a confirmation email, and you’ll be set to go! 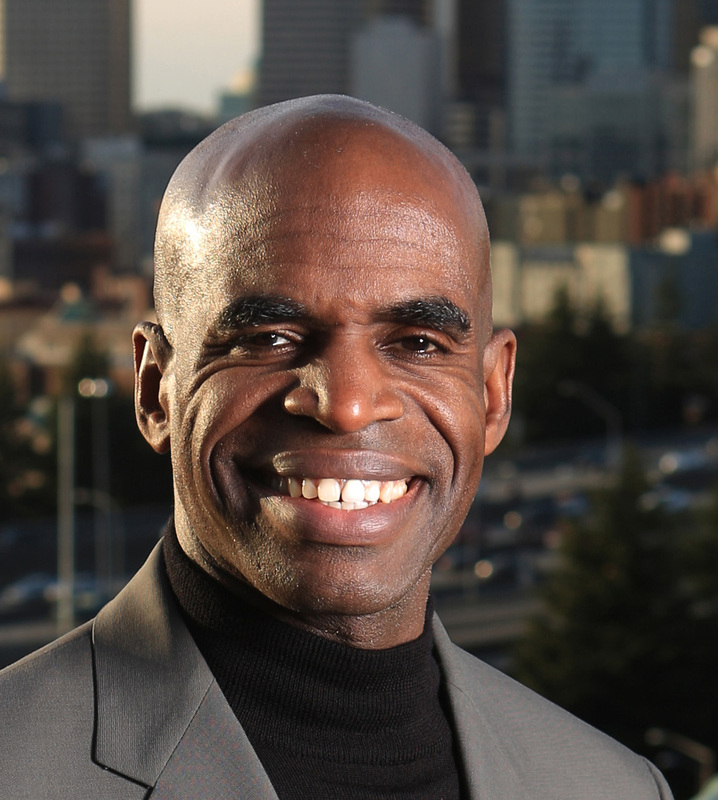 On MLK Day, Solid Ground will provide free transportation both to and from Olympia. Shuttles will depart at 7:30am on 1/19/15 from the headquarters building (1501 N 45th St, Seattle, WA 98103) and return in the afternoon after the events have concluded. There will also be a bus available leaving from Kent and a van leaving from Yakima. Additionally, complimentary breakfast and lunch will be served with Vegetarian & Non-Vegetarian options available. (If you have any additional dietary needs, please bring your own food along to the event.) Childcare and language interpretation services are also provided for attendees as needed. And you can engage even further with the Poverty Action team as a volunteer to help with extra support needs for the event. During the morning, Poverty Action staff will provide an engaging, in-depth 1½-hour training session for all attendees on how to talk with legislators. After practicing, attendees will be divided into small groups by your home legislative districts and head out together for meetings with your legislators. Most districts will have three, 15-minute sessions scheduled with their state representatives and support staff. These meetings have an influence on our lawmakers, and their support of policies deeply impacts our local communities. 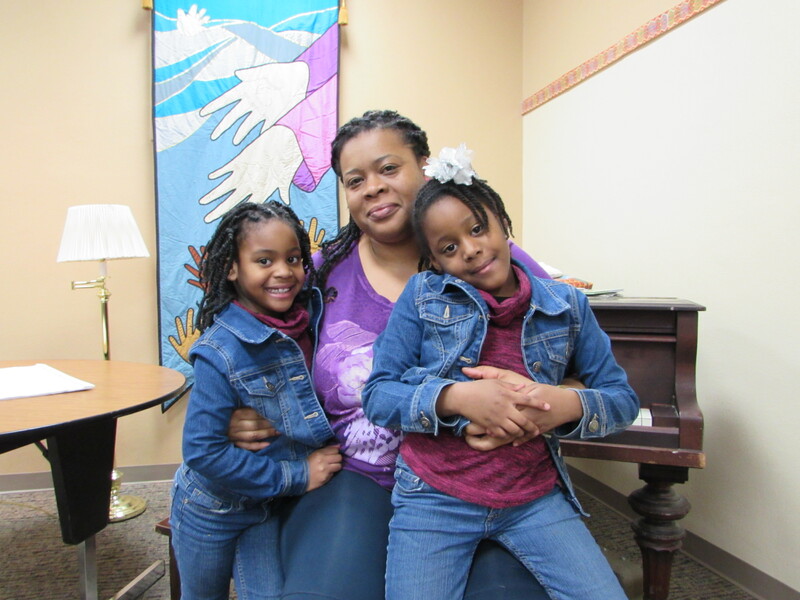 There are three main issues that Poverty Action members have identified as top legislative agenda priorities this year: 1) Legal Financial Obligation (LFO) reform, 2) a greater TANF (Temporary Assistance for Needy Families) grant, and 3) consumer protections. These major topics affect many people living on low incomes across Washington state. MLK Lobby Day is an opportunity to tell your own stories and/or advocate for others in need of change and improvements at the state legislative level. After all of the speeches, discussions and conversations that fuel MLK Lobby Day, the Poverty Action team will follow up with attendees via email about any progress made on the issues and topics brought up during their meetings with legislators. The Martin Luther King Day holiday is a day off for most employees and students, however we hope you’ll consider coming and joining people all across the state to ensure that people have access to the basic resources and fair policies needed to reduce poverty in Washington state. Instead of taking the day OFF, join us for a powerful day ON: In the spirit of Martin Luther King, Jr.’s legacy, let’s take action for meaningful change! Posted on July 12, 2013 by Gordon McHenry, Jr.
“Yesterday, the legislature agreed to a budget with just days to spare before a state government shutdown was to take effect. This budget is a mixed bag. There are some points to celebrate, like a $1.03 billion investment in K-12 education, and the budget holds the line of safety net funding. “However, there are a number of missed opportunities in the budget that fail to raise adequate revenue to address the long-term needs of our state,” said Solid Ground’s organizing arm, Statewide Poverty Action Network, in the budget analysis it released last week. 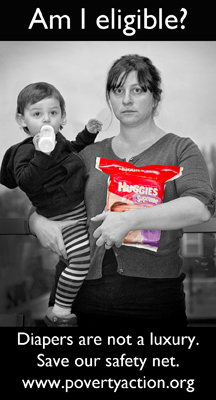 No major cuts were made to Temporary Assistance for Needy Families (TANF), and a proposed cap on the number of children in TANF families who could receive benefits was defeated. The state will fully implement Medicaid expansion, giving health insurance to about 250,000 people living on low incomes starting in 2014. Adult dental health coverage was fully restored! $70 million was invested in the Housing Trust Fund. Disability Lifeline programs, ABD and HEN, were protected, supporting people with disabilities in meeting their basic needs. State Food Assistance was restored to 75% (from 50%) of the federal SNAP benefit, helping immigrant families afford enough food to eat. Stepping back from the specific gains and losses of this budget, we must address the two special session/double overtime governing. Solid Ground clients and families living on low incomes across our state were filled with angst and uncertainty as they wondered whether they would receive their much-needed state assistance, or whether the government would shut down. They worried whether they would be able to pay rent on time or put food on their tables. For vulnerable people across the state, this is what is at stake when legislators can’t reach a budget agreement. Our state deserves strong leadership. By refusing to raise revenue and delaying the passage of a compassionate budget for ideological reasons, some members of the legislature put the needs of our communities at risk and, in the process, practiced incredibly bad governance. We appreciate that the government did not shut down. We appreciate that the legislature preserved and protected our state’s safety net. And we appreciate that the state made a down payment on our paramount duty to educate our young people. But, we expect better from our leaders. We expect leaders to rise to the occasion, to boldly address our state’s long-term problems, and to address inequities by raising much-needed revenue. And we will engage our legislators with the goal of holding them to the high standard that civic leadership requires.